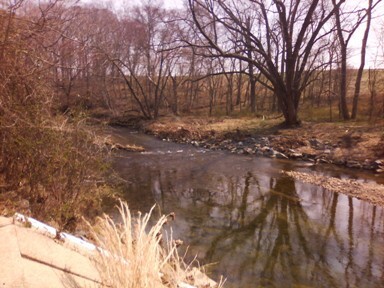 of Benson, 1.8 mi southwest of Bel Air, and 10.5 mi upstream from mouth. PERIOD OF RECORD.--August 1967 to current year. GAGE.--Water-stage recorder and crest-stage gage. Datum of gage is 188.28 ft above North American Vertical Datum of 1988.
prior periods have been collected at this location. minimum discharge, 0.34 ft³/s, Aug. 22, 23, 2002.